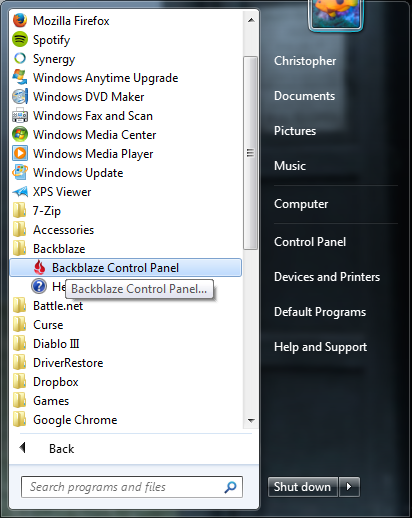 To open the Backblaze Control Panel, you can use either the Start Menu entry or the System Tray icon. If Backblaze has been pinned to your main Start Menu pane, it will appear as on the left below. If it has not, you can find it in the “All Programs” selection, as show to the right below. The system tray icon is typically found at the lower right hand side of your desktop area, just to the left of the clock. 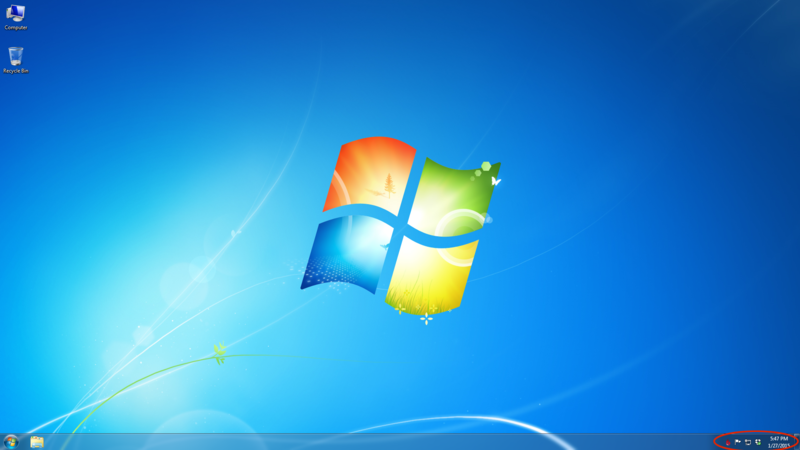 Below is an example of the default desktop area with the system tray icons highlighted. 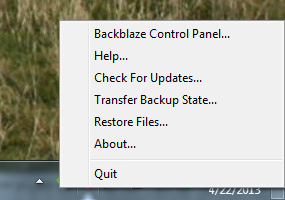 Once you have opened the Backblaze Control Panel, you will see a screen like that shown below. The “Backup Now” button will either resume or initiate a backup, depending on your backup schedule settings. The “Restore Options” button will present you with basic information about the way in which you can restore files from your Backblaze backup. “Selected for Backup” reports the total number and size of all of the files currently included in your Backblaze backup. 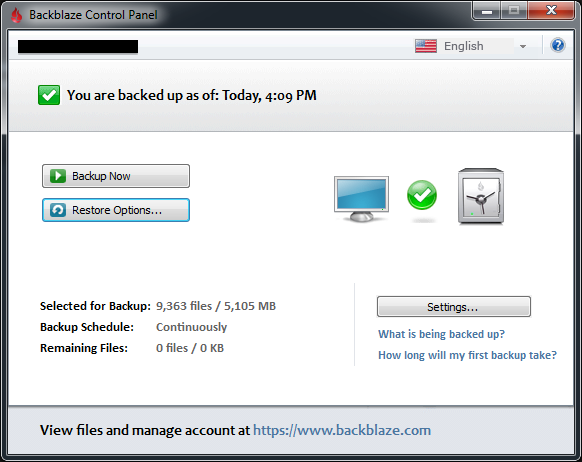 “Backup Schedule” indicates the current schedule setting of your Backblaze software. “Remaining Files” shows the total number and size of files currently in queue to be uploaded. These files are not yet backed up. The “Settings” button will take you to the various settings you can change for the Backblaze backups.